Opthea (ASX:OPT) has announced the grant of Japanese Patent Number 6408492 covering its OPT-302 soluble VEGFR-3 (sVEGFR-3) ‘trap’ molecule. The patent has been granted in the name of Opthea’s wholly-owned subsidiary, Vegenics. 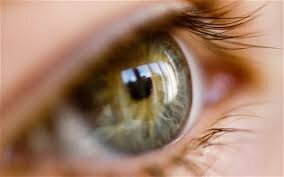 "The Japanese patent covers both OPT-302 and compositions containing OPT-302 for use in treating disorders associated with aberrant angiogenesis and/or lymphangiogenesis, including eye diseases such are wet age-related macular degeneration (wet AMD) and diabetic macular edema (DME)," said the company. The patent term extends to 13 February 2034. Patents covering OPT-302 and extending out to 2034 have now been granted in Japan, the US, Australia, South Africa and Singapore, with applications pending in a further 14 countries. OPT-302 is being investigated in two ongoing clinical trials. A 366 patient phase 2b trial in wet AMD and an approximately 108 patient phase 2a trial in DME. The company said reporting of primary data analysis from the Phase 2b wet AMD and Phase 2a DME trials is anticipated to occur by the end of 2019. “Japan currently accounts for approximately 10% of the global market for anti-VEGF-A therapies for the treatment of wet AMD and DME. As such, obtaining extended patent protection for OPT302 in Japan is key to our business strategy moving forward and further underpins our already strong intellectual property position,” said Dr Megan Baldwin, CEO and managing director of Opthea.